As one of the most used areas in every household, bathrooms require higher maintenance compared to other rooms. With this, make sure to call a reliable waterproofing specialist as soon as you detect some kind of toilet leak in your bathroom. There are various signs and indications suggesting a water leakage and as a homeowner, you should make it a point to familiarise yourself with these symptoms. For instance, water stains on your ceiling is a sign of a toilet leakage that might be happening on the upper floor. 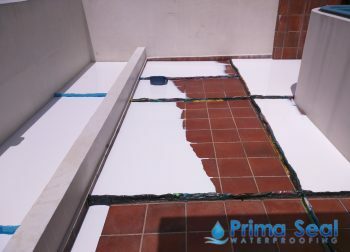 In such interfloor leakages, it is important to closely work with your neighbour and engage in the services of a trusted and professional waterproofing company to solve the leakage problem. Shower Leaks: Regularly check the seals around your shower to ensure that there are no leaks in those specific areas. If there happens to be a leak in such areas, then immediately go for a leakage repair service in order to prevent it from worsening. Bathtub Leaks: As bathtubs carry high volumes of water, small cracks on it may likely result to water leakages on the lower floor. Do a thorough inspection as soon as you notice a small crack on the bathtub. 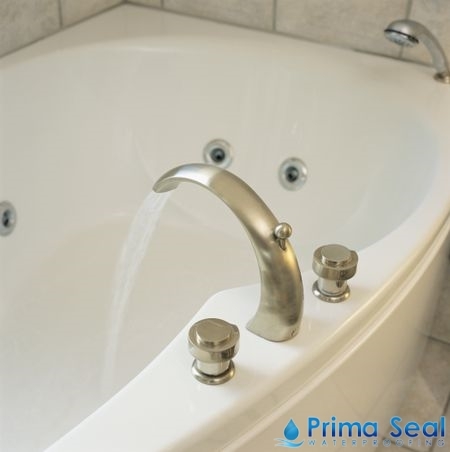 It may get a little tricky to find the source of a leak on a bathtub, so in such cases, don’t hesitate to call a professional plumber or waterproofing specialist to solve the problem. The bathroom leak repair cost will vary depending on the severity of the issue. 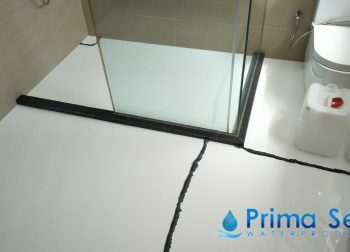 Bathroom Floor Leaks: If your bathroom happens to have vinyl flooring installed, ensure that you solve leaks as soon as possible as this type of flooring is more prone to rot and damage when wet. 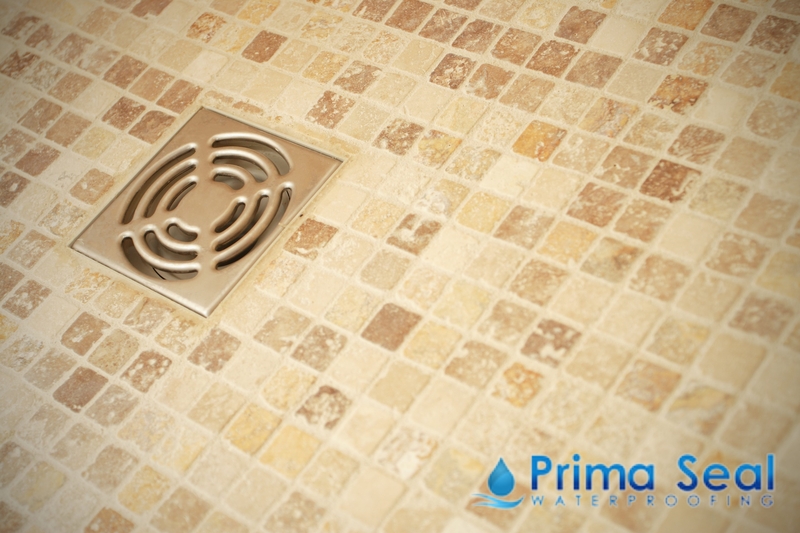 Water may also seep through floors with vinyl tiles, especially when grouting is not initially done properly. 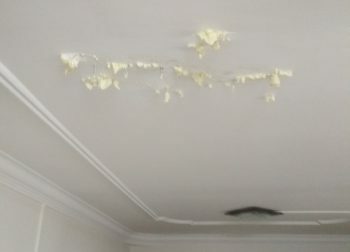 Having an experienced waterproofing professional can prevent such water leaks. Bathtub/Shower Drain Leaks: Problems in piping can result to drain leakages in bathtubs and showers. While water may leak slowly and is harder to identify, leaving such problems unsolved can aggravate the situation. Tiling Leaks: Tiling leaks are known to be quite a common source of bathroom leaks. However, the source of the leak may be harder to identify in tile flooring as you need to properly inspect each tile to detect the leak. 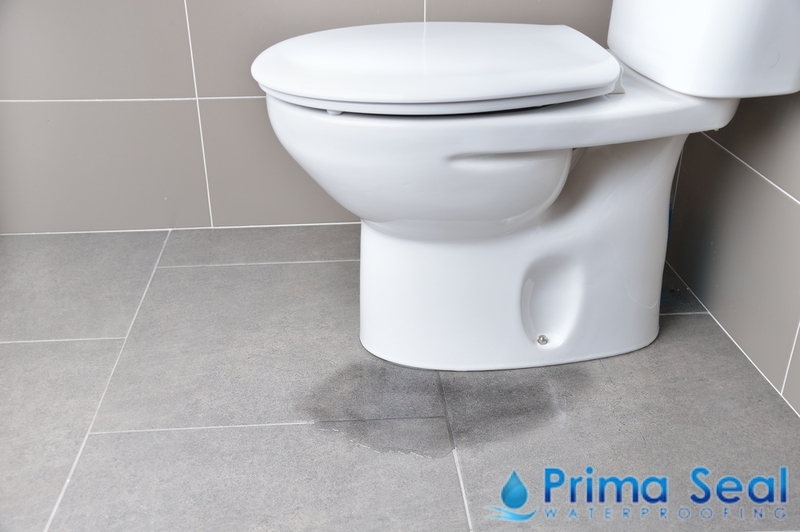 Now that you know more about the types of leaks that can occur in your bathroom or toilet area, remember to only engage in the services of an experienced waterproofing specialist. Doing so will ensure that you’ll not encounter bathroom leakage problems in the future as such professionals know the necessary waterproofing methods to carry out as in their successful waterproofing projects.